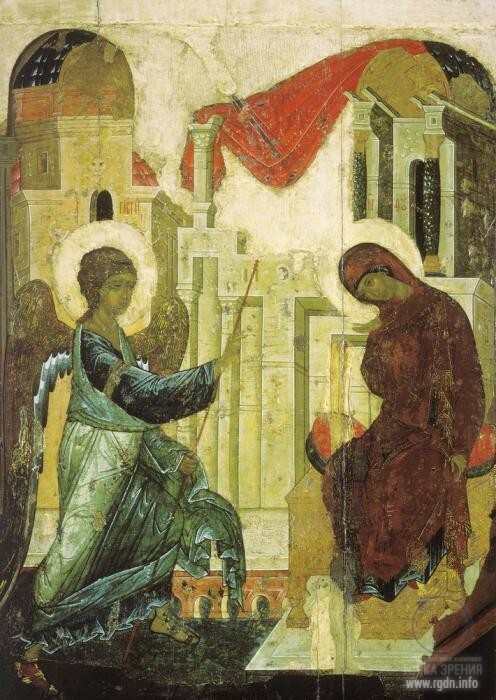 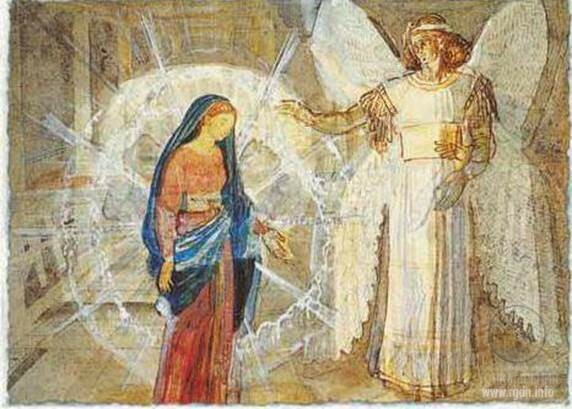 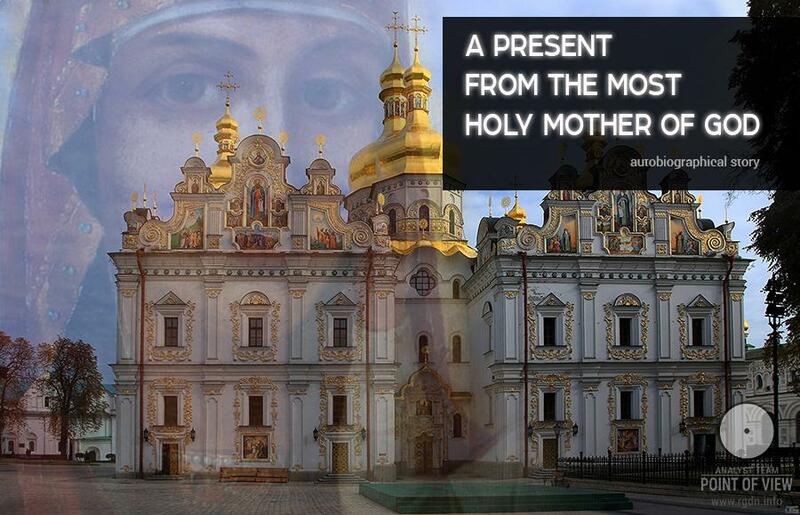 “Rigden: Regarding Archangel Gabriel and Virgin Mary, on the altar pillars of the main eastern arch of St. Sophia’s Cathedral in Kiev, where the Virgin Orans (Oranta) is depicted, mosaic images of the Annunciation remain until today. 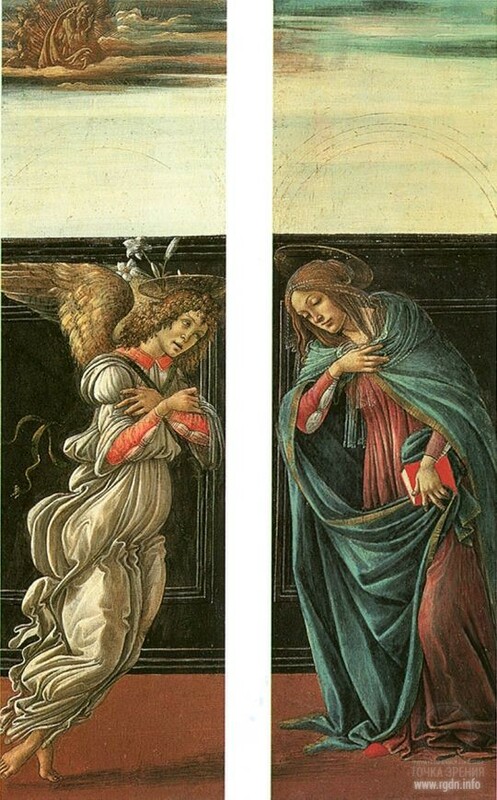 Anastasia: Yes, on one of the pillars there is an image of Archangel Gabriel, the fingers of whose right hand are joined in a blessing gesture. 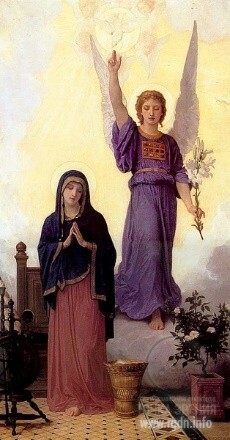 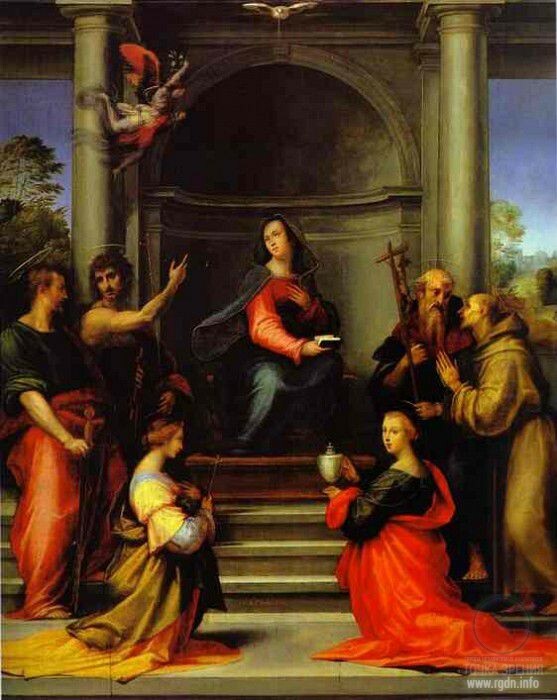 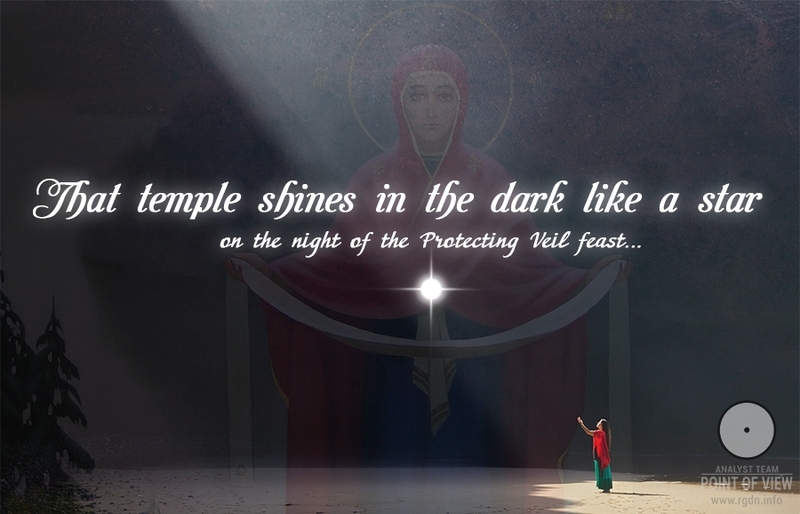 On the other pillar there is the Mother of God with a spindle in her hand, spinning the spiritual thread of human life. 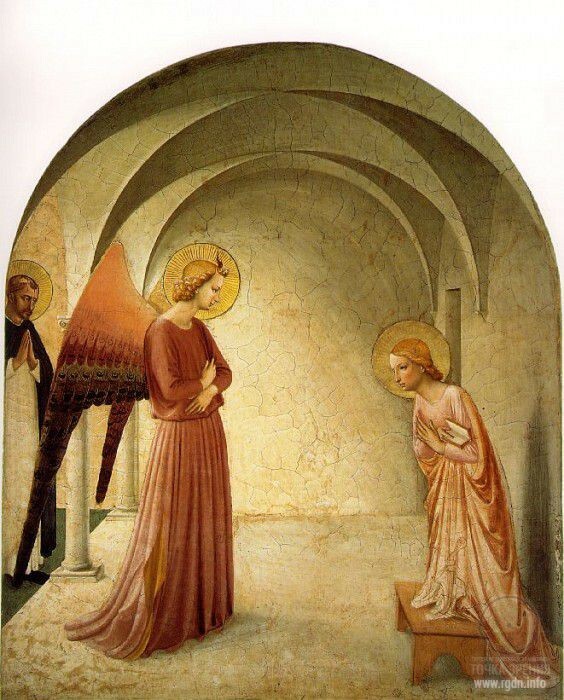 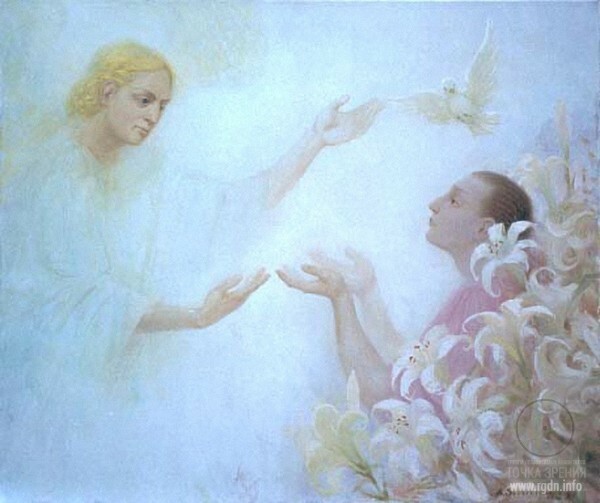 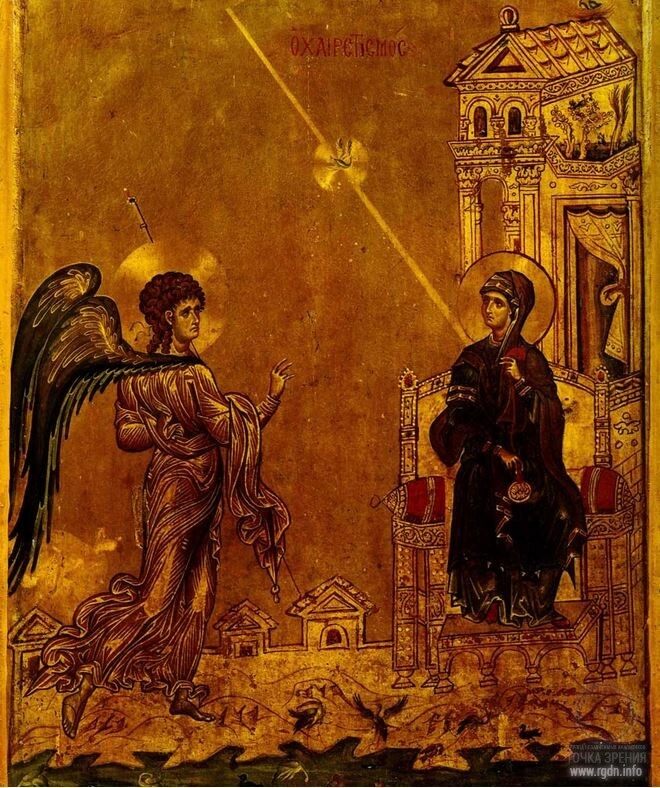 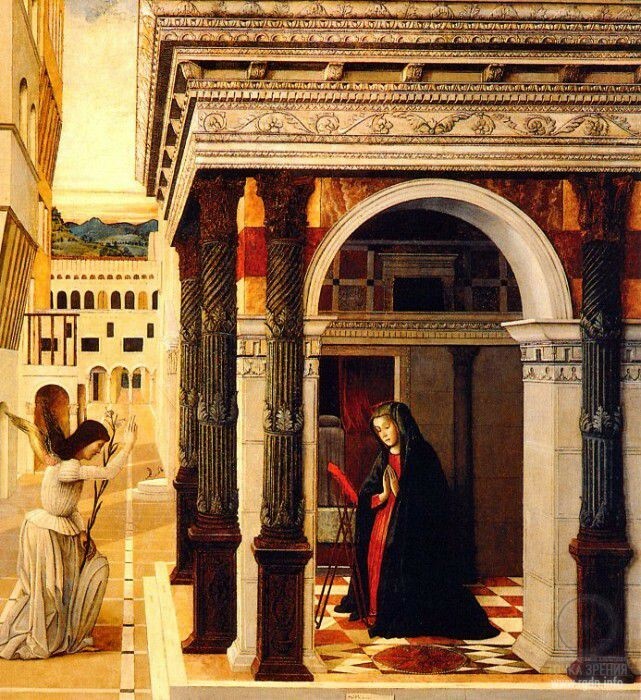 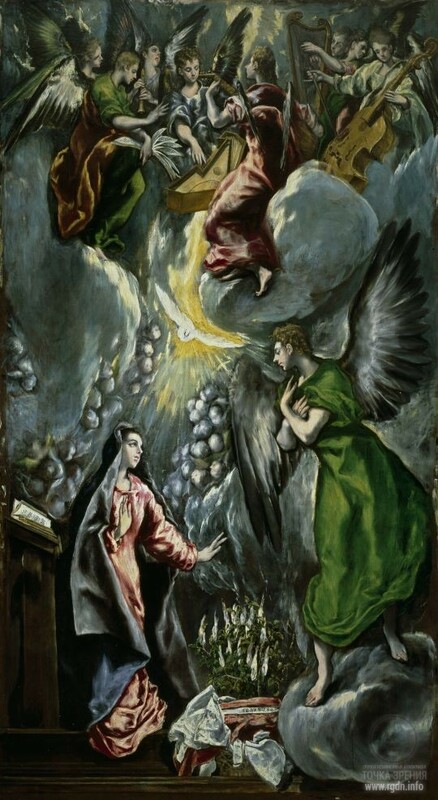 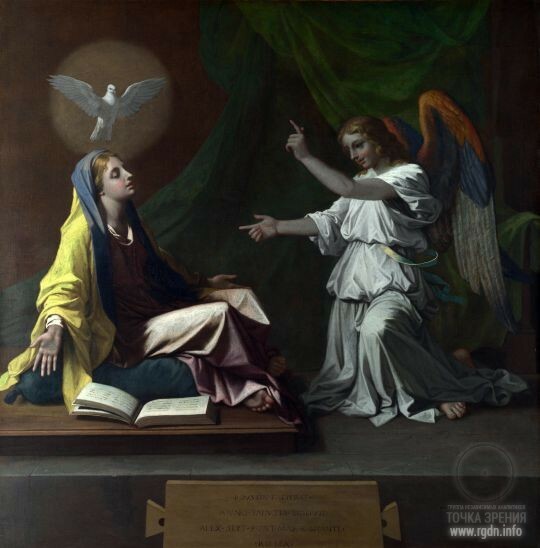 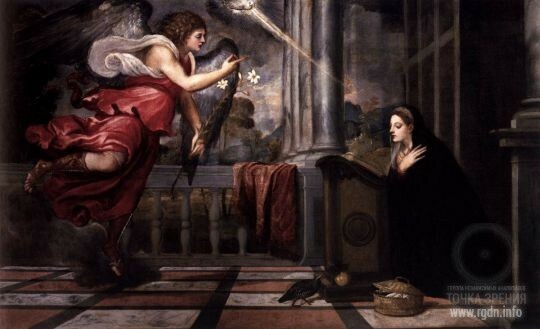 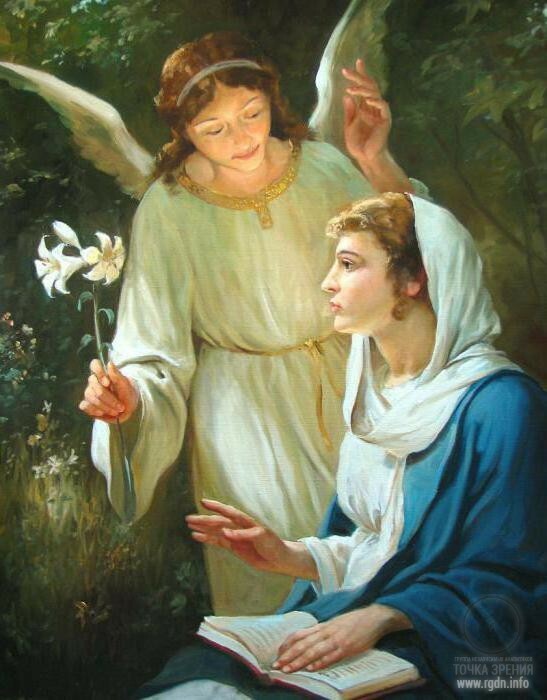 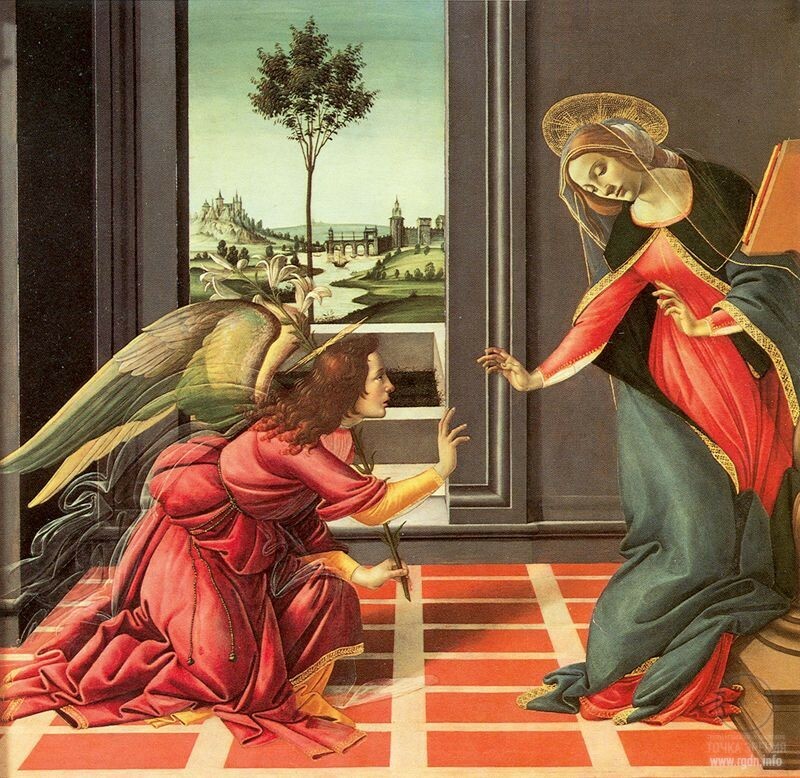 There are numerous icons and paintings depicting the Annunciation scenes. 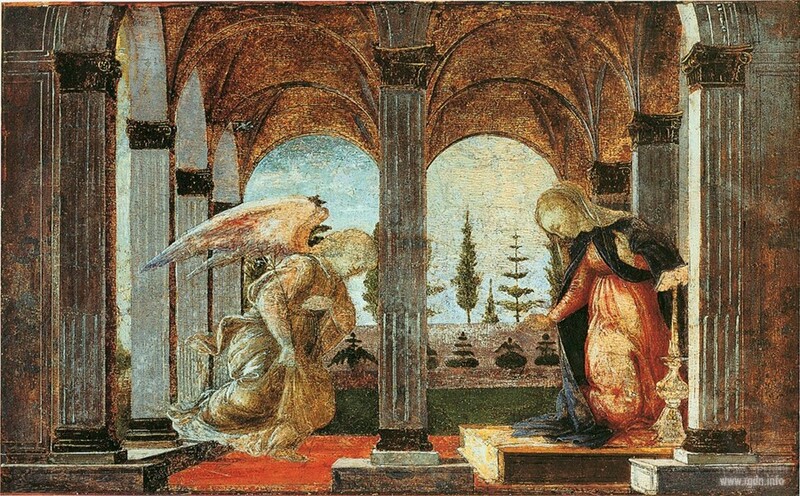 They were created in diverse styles by artists of various centuries and different countries, including modern artists. 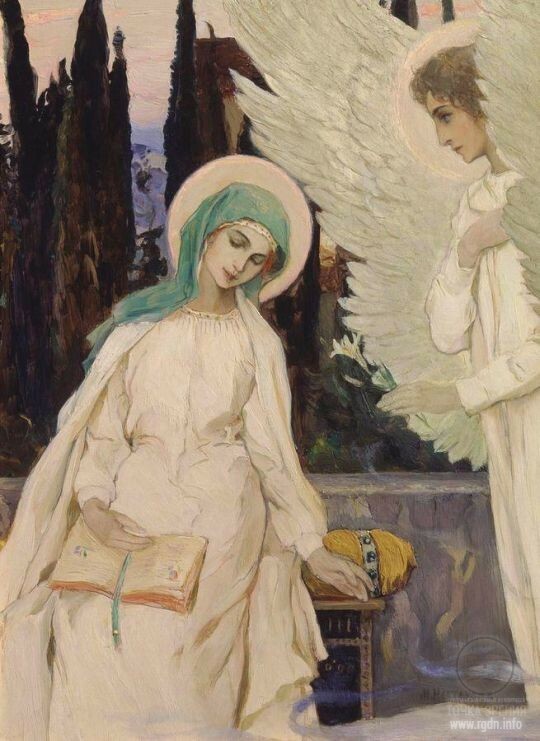 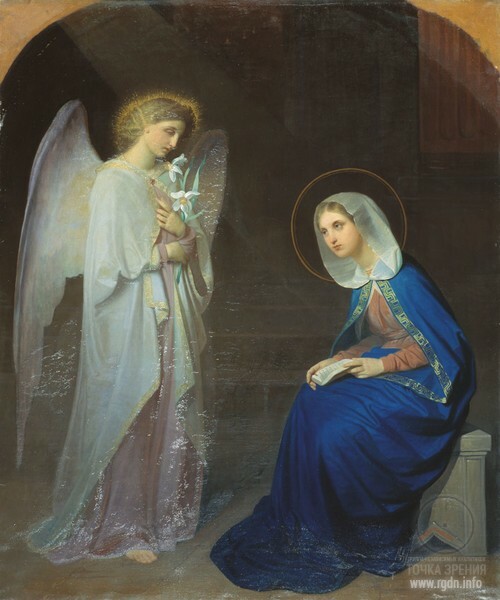 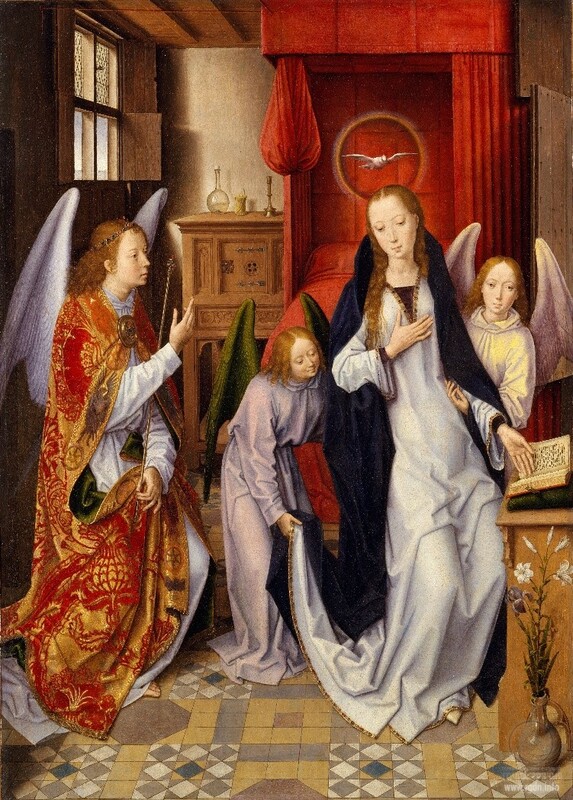 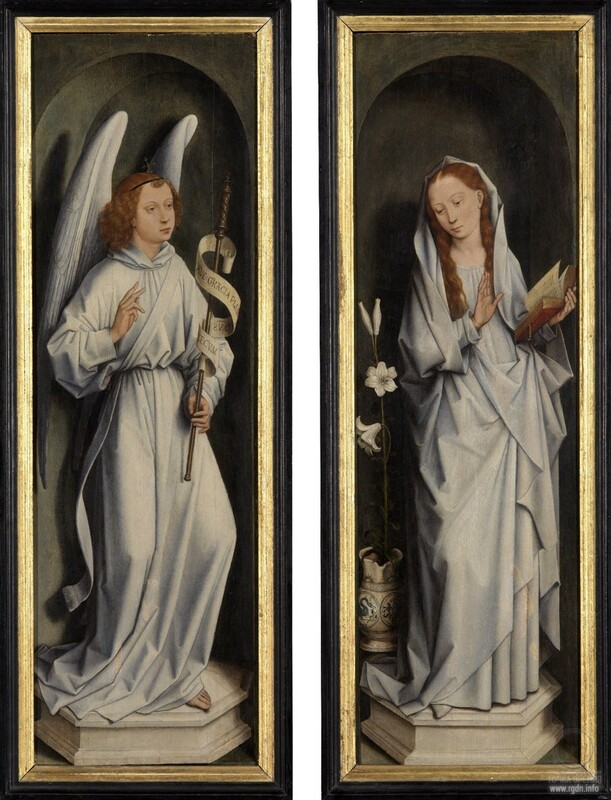 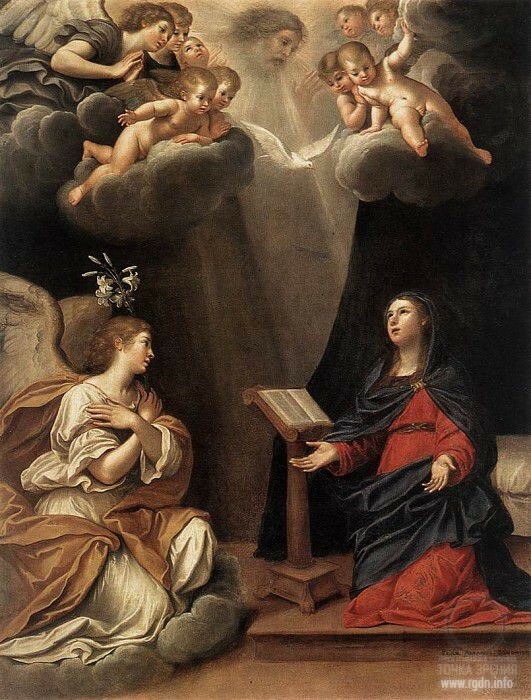 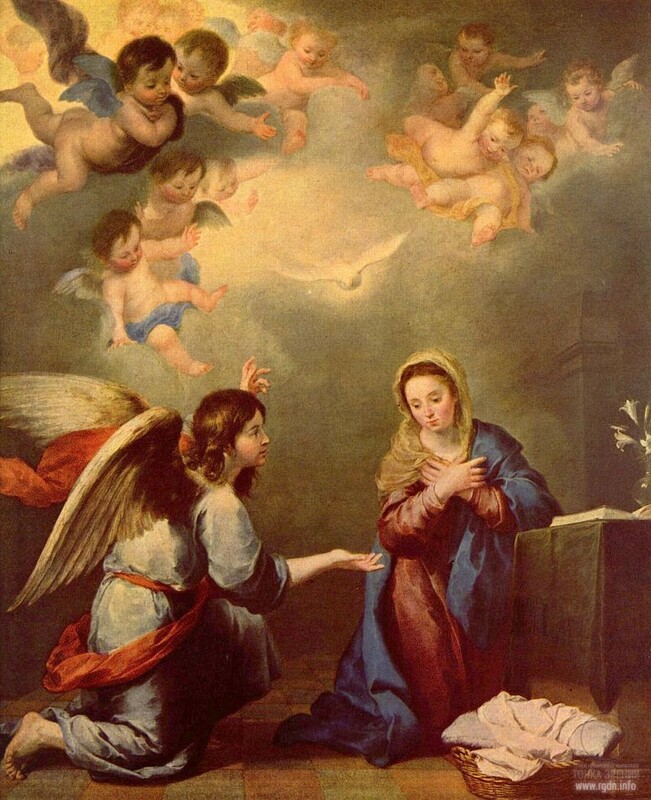 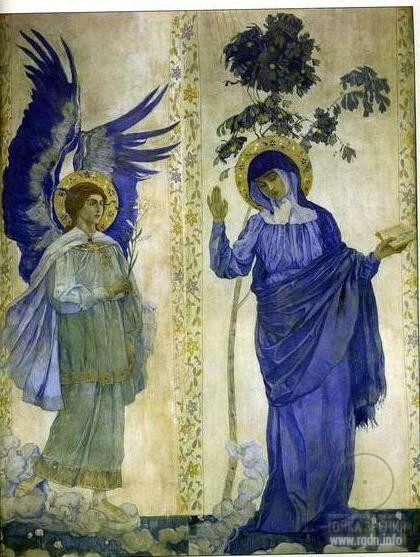 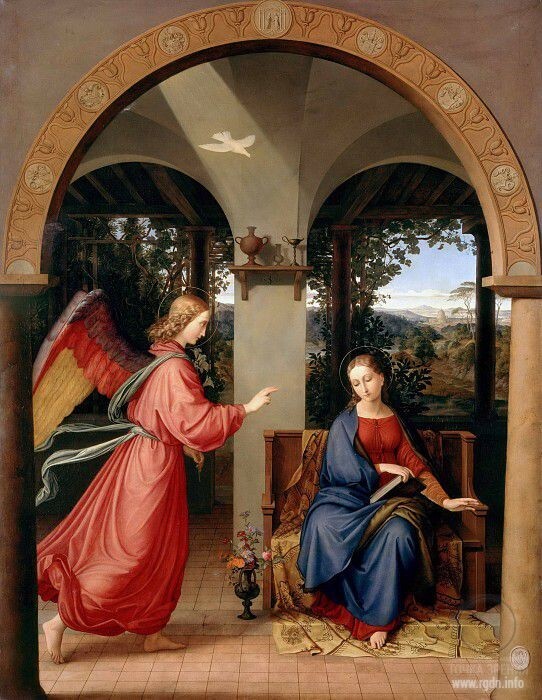 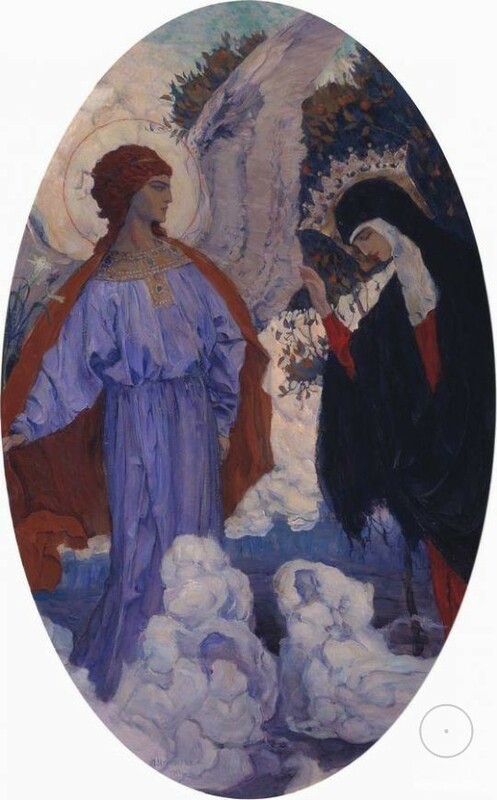 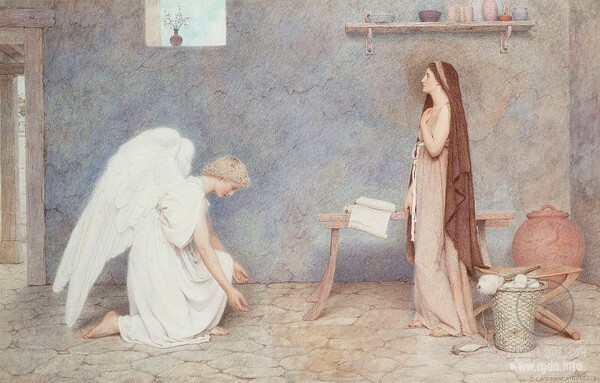 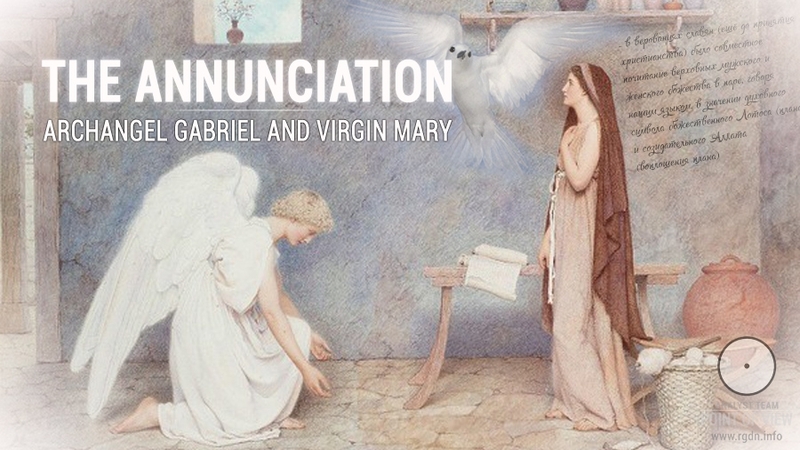 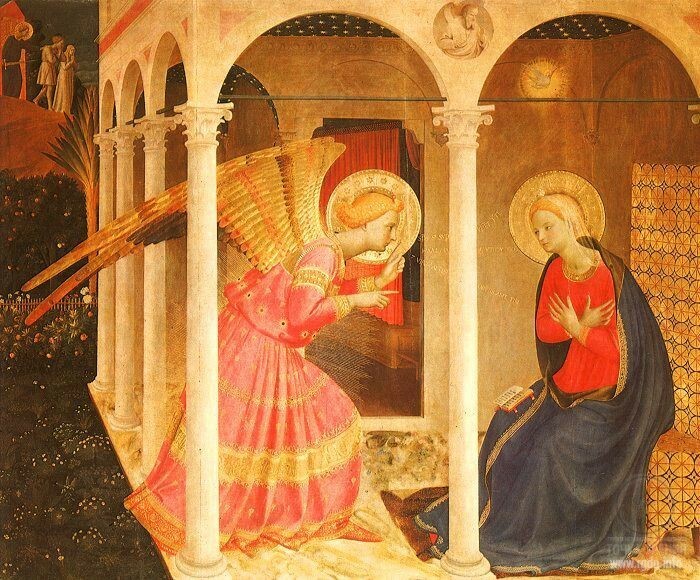 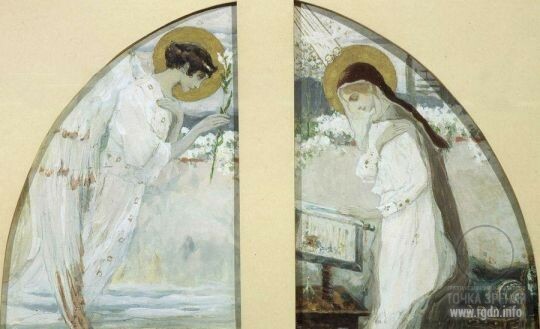 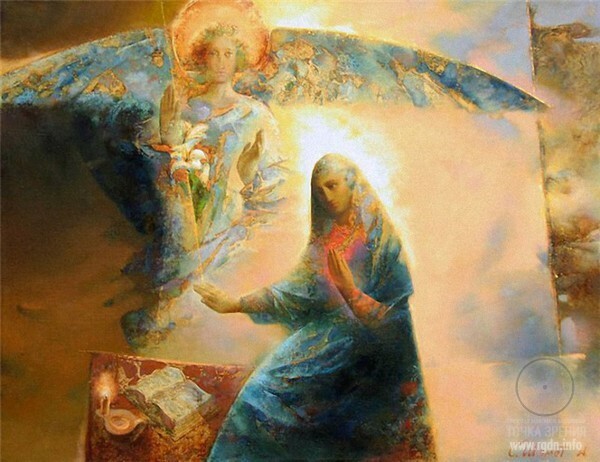 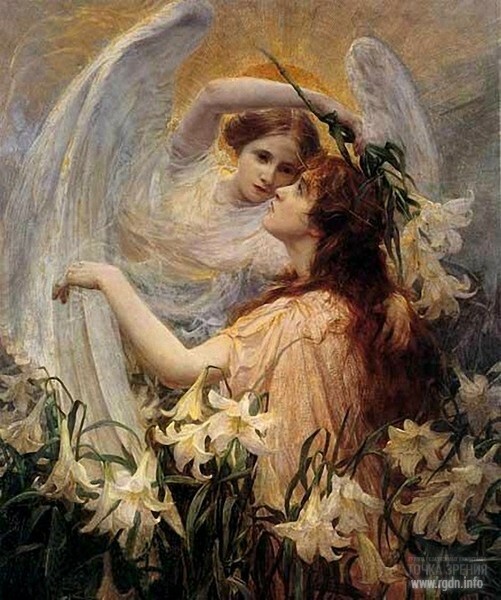 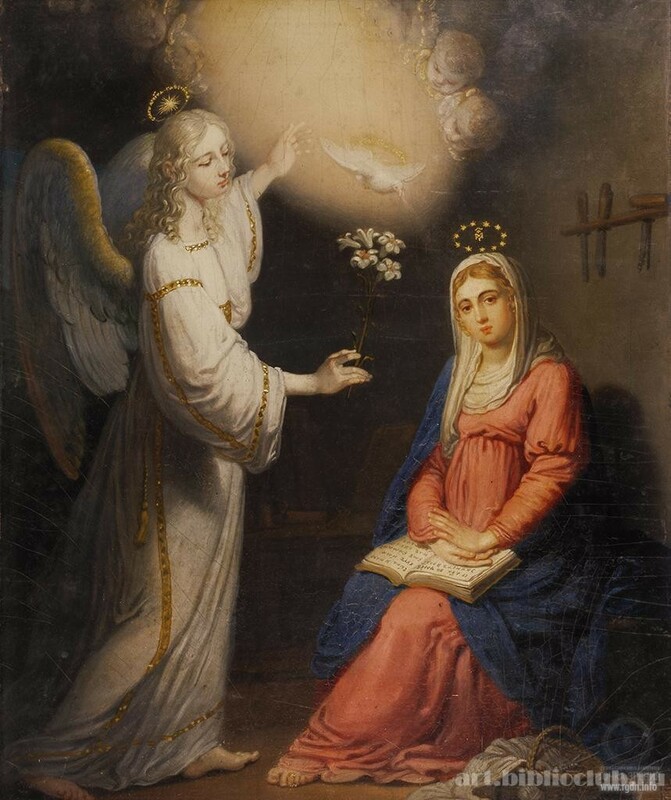 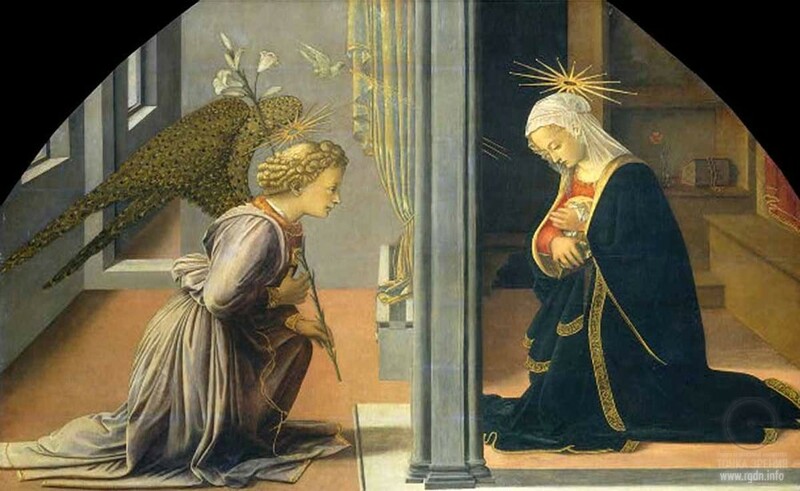 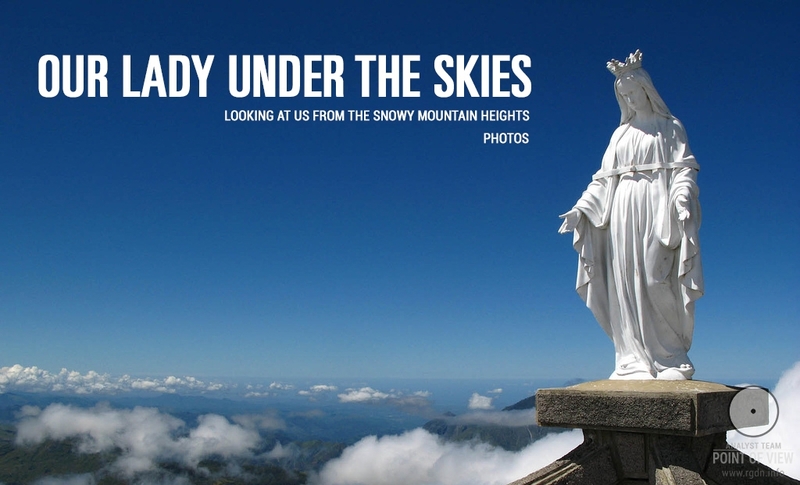 At that, all of such works of art express a reverent and deeply heartfelt attitude to the depicted event, and surely to Virgin Mary and Archangel Gabriel. 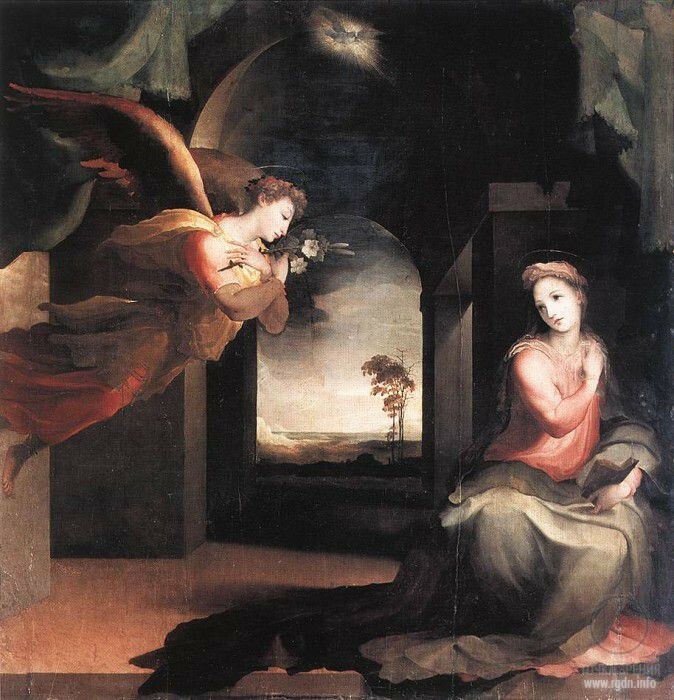 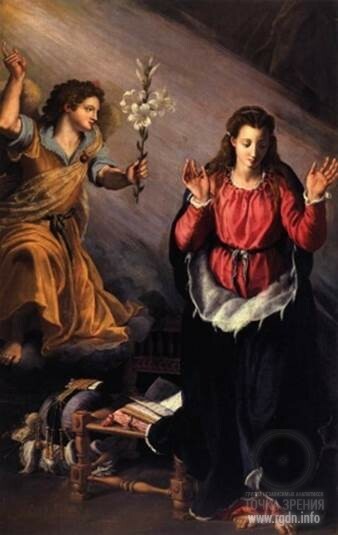 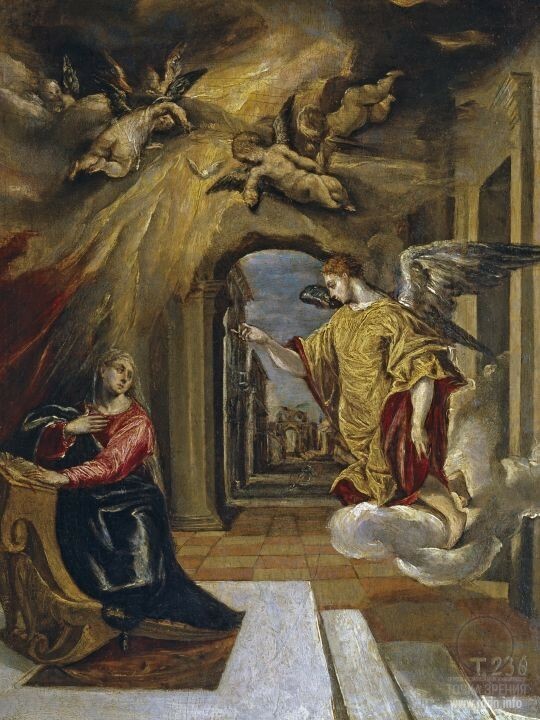 It is usually considered that one of the most ancient Annunciation images is found in the Catacombs of Priscilla (3rd century). 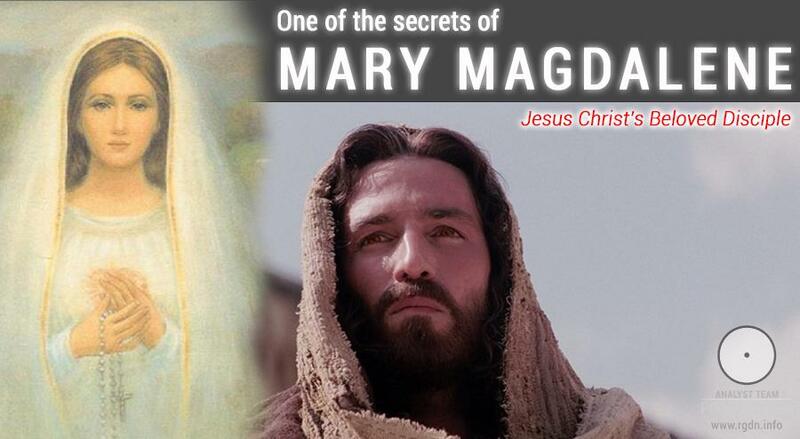 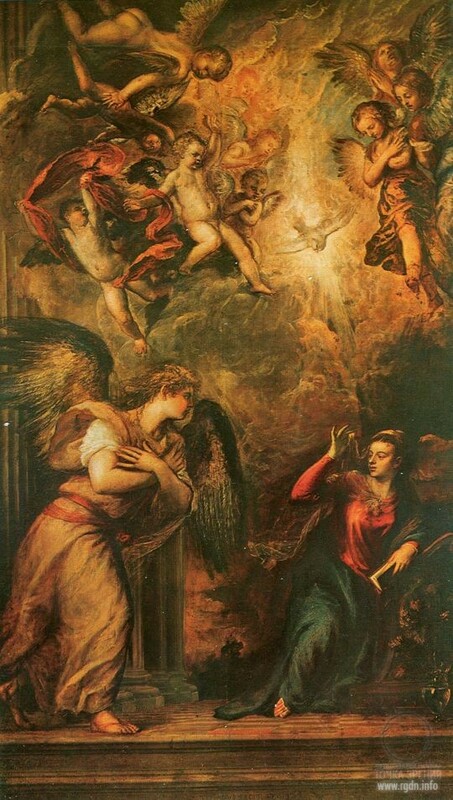 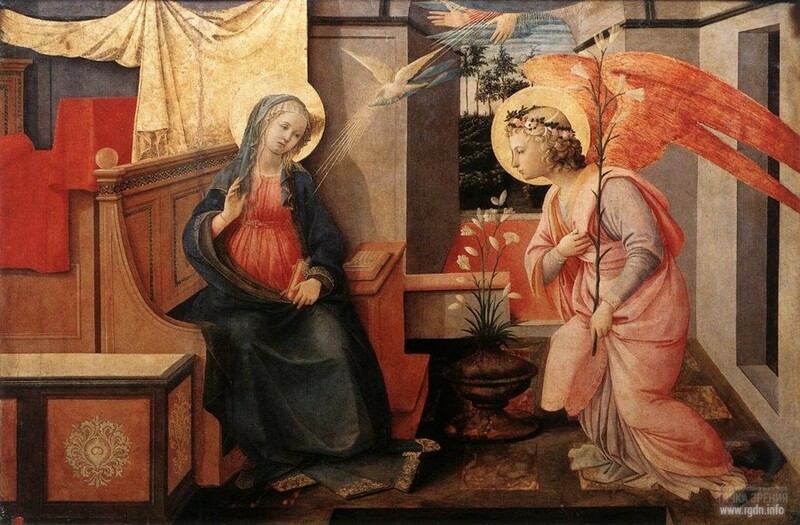 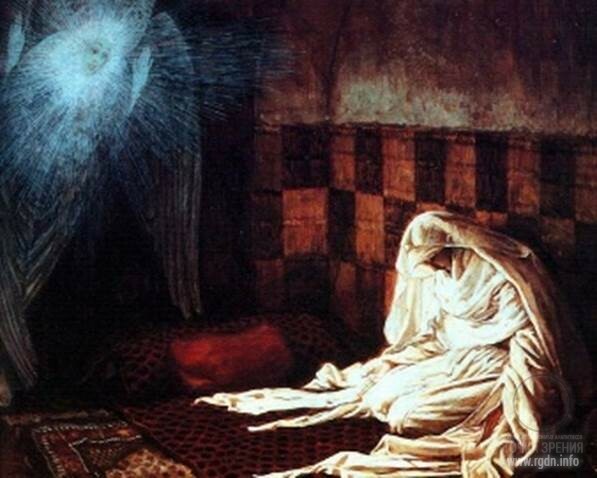 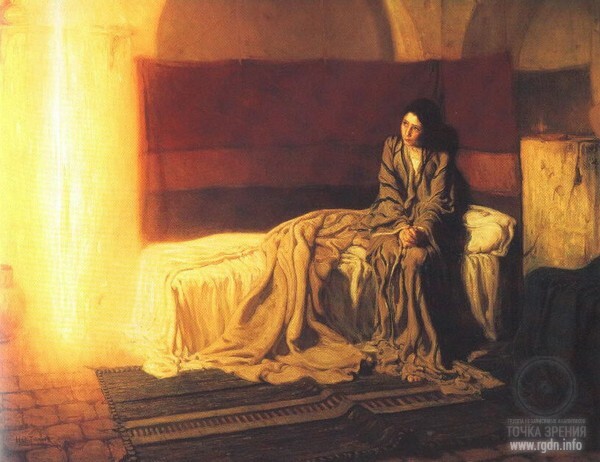 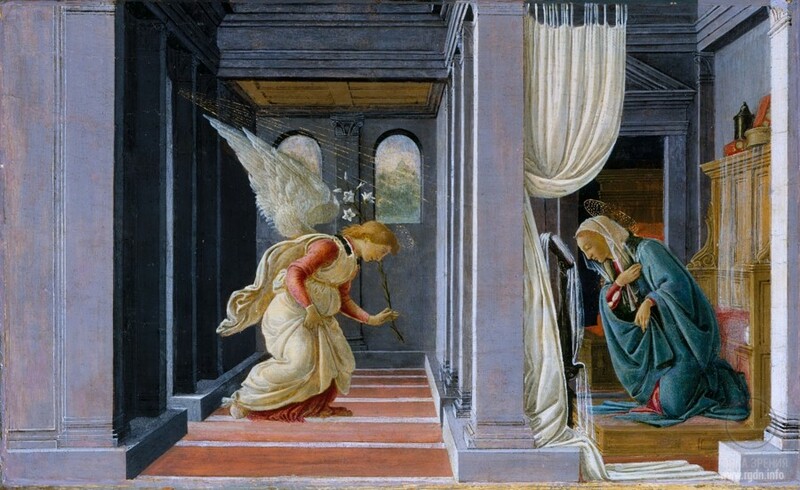 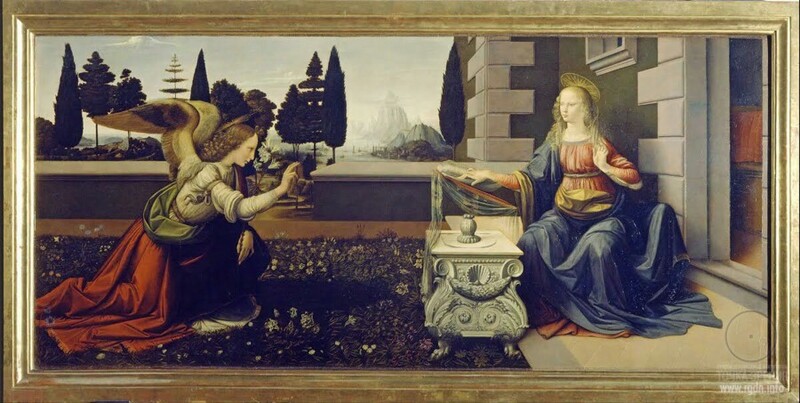 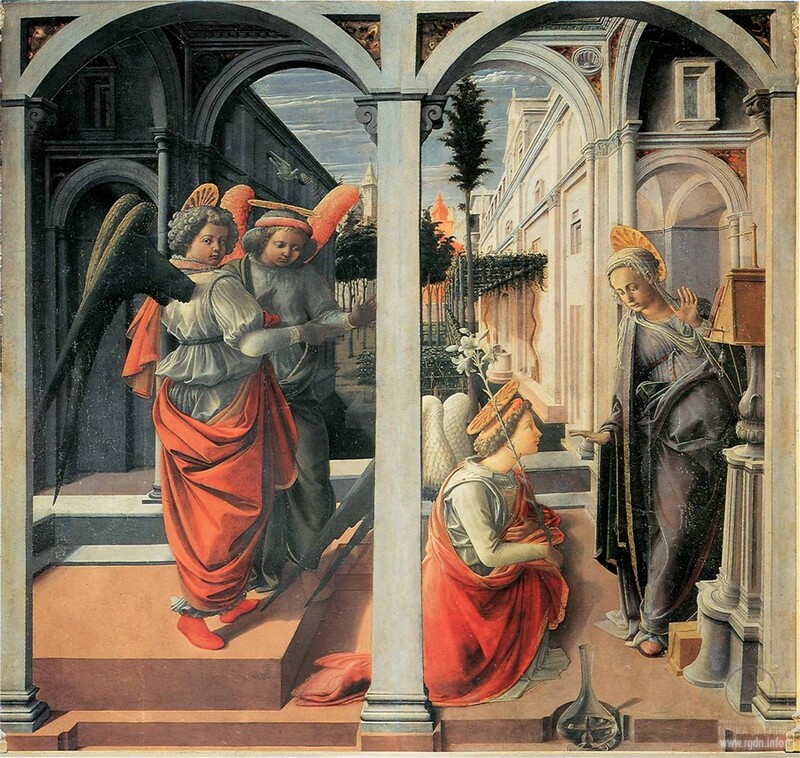 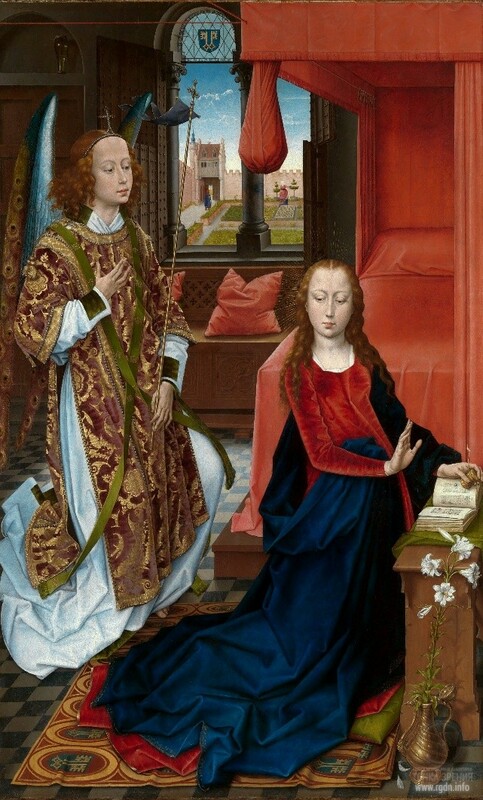 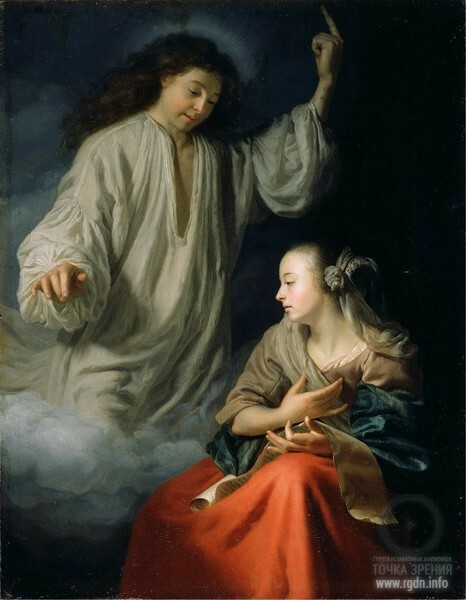 Researchers regard the scene where a young man in Roman clothes is standing in front of a woman sitting in a tunic exactly as the Annunciation scene. 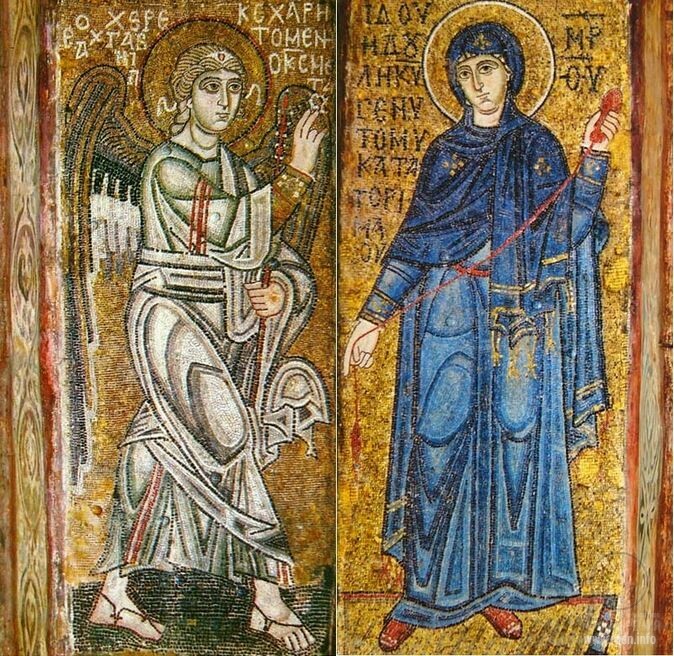 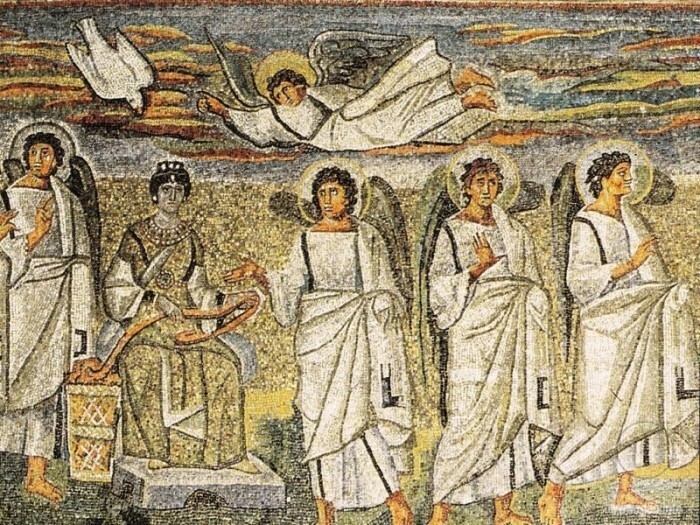 In the Annunciation mosaic, which is a part of the Christological series of images on the dome of the Assumption Church in Daphni, Greece (late 11th century), there are only figures of the Mother of God and Archangel Gabriel.